Today we return to the upper levels of Fedor’s Pass with detail maps of the areas behind the Plateau Ruins detailed on Tuesday. Opal Lake is home to the natural underground waterfall and lake and an ancient fortress carved into the rock behind the falls. 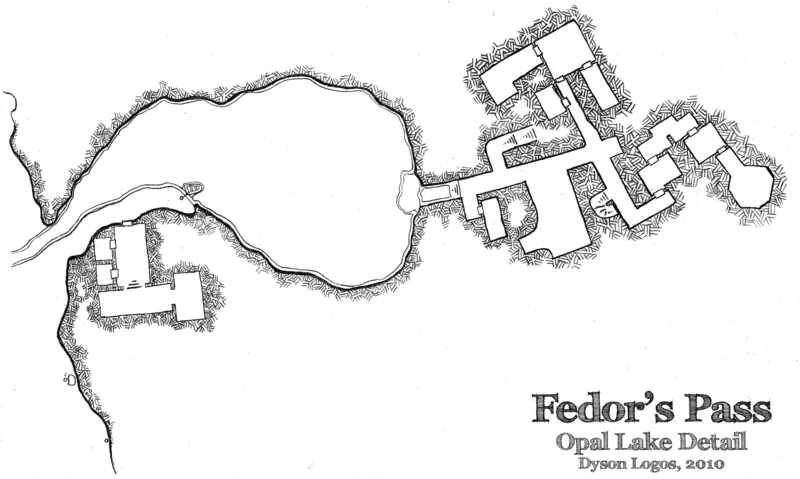 For whatever reason, the party never went into the cave behind the Plateau Ruins, so they never saw the black mirror-like finish of Opal Lake and didn’t explore the fortress hidden behind the waterfall. And I guess that’s ok, because I never really put any thought into it besides putting it there. Really… it’s a bunch of rooms behind a waterfall. 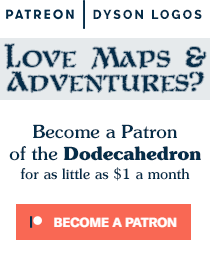 You just need to explore it because it exists, right? And within that fortress there are three levels. 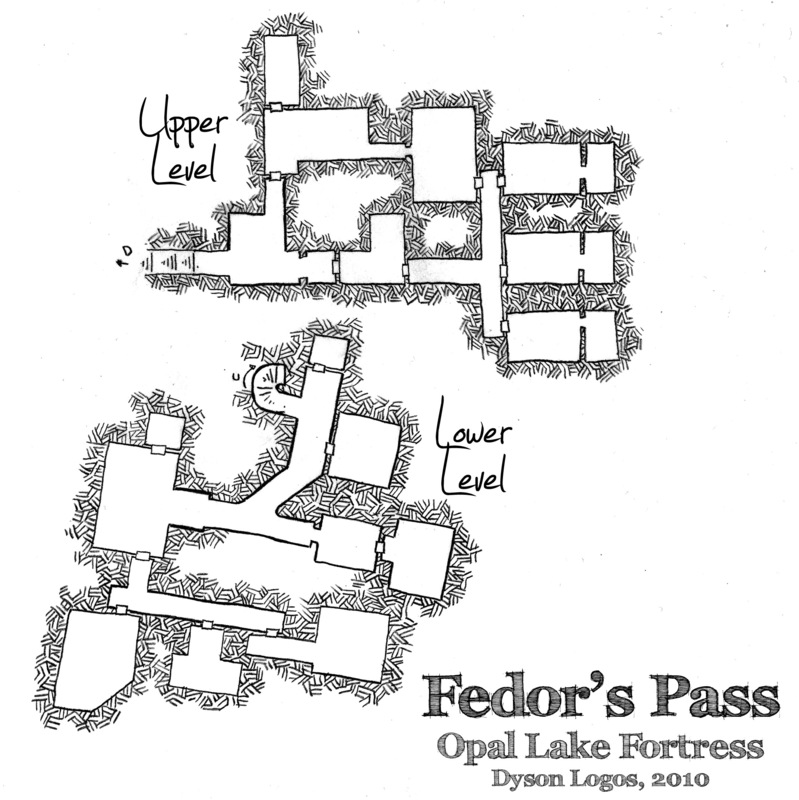 Because I wasn’t big on layering levels on the same page back then, I drew the main level on the page with Opal Lake, and the upper and lower levels on their own page (and roughly in the proper configuration, the upper and lower levels don’t overlap each other, just with the main level). 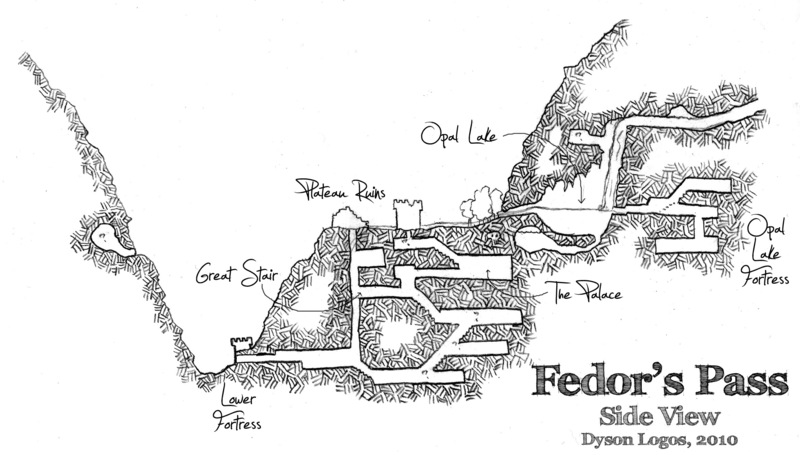 Next week we’ll head to the lower fortress at the foot of Fedor’s Pass and explore the areas beyond and the Great Stair! As with all the maps from the “Lost Maps” project, these maps were drawn with a plain HB #2 pencil on cheap thin white paper. Some serious contrast-enhancement ensued in photoshop to make them legible for the blog.